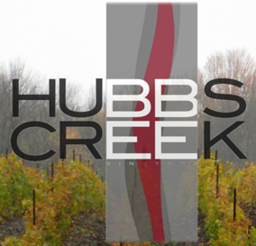 Hubbs Creek Vineyard is a family run vineyard. We are located in Prince Edward County, Ontario, Canada. Prince Edward County is located at the northeastern part of Lake Ontario bisected by the 44-degree north parallel. The vineyard itself is situated in the township of Hillier near the town of Wellington, approximately two kilometers north of Lake Ontario. Prince Edward County is one of Canada’s newest grape growing region. The County, especially the township of Hillier , is becoming famous for it’s lime rich soils, which are ideal for growing grape varieties such as Pinot Noir and Chardonnay.